Frances has been in love with duct tape lately. I guess I have to take responsibility for part of it because I'm the one who bought all the different kinds of tape. 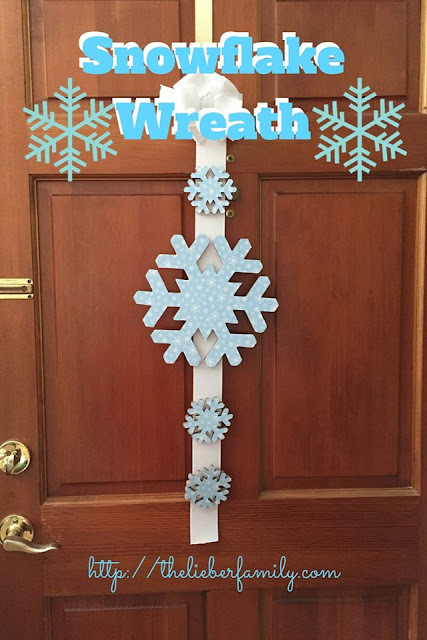 She started out just making bracelets, but then she saw a flyer at her after-school program about entering a project at the county fair and she because obsessed with making something to display. I flipped through some ideas online with her looking over my shoulder and she saw a pair of flip flops made out of duct tape and fell in love. Since we had all the necessary supplies, I decided to go ahead and let her try it out. And of course, I documented the process. 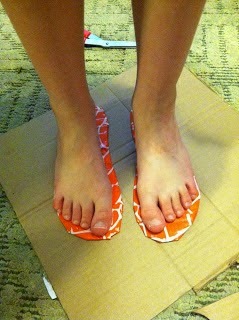 Put on the shoes and trace around them onto a piece of cardboard. 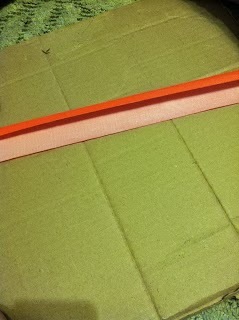 Start placing strips of duct tape across the top of the cardboard, wrapping it around to the back. Over lapping is good-you want to have all the cardboard on the top covered. 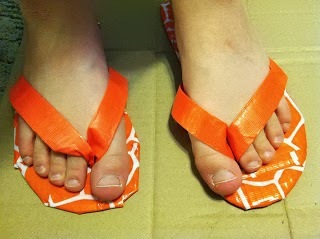 After you have covered the entire top with duct tape, have your child stand in them and make a mark in between the toes to mark where the straps should go. Using scissors (or a fancy cutting tool) cut a slit where you made the mark. THIS IS A PARENT JOB! Take a piece of duct tape about a foot long (this is a good time to use a coordinating color or pattern) and fold it in thirds length-wise. 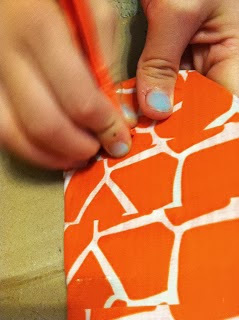 Fold this piece in half with the seam on the outside and poke it through the hole you made in step 5. Pull it though about an inch and tape it down. 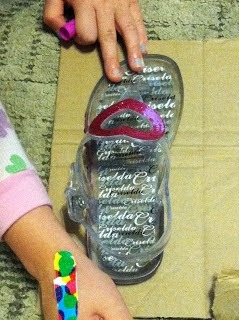 Have your child put the shoes on wrap the rest of the strap around her foot comfortably like a flip flop strap. 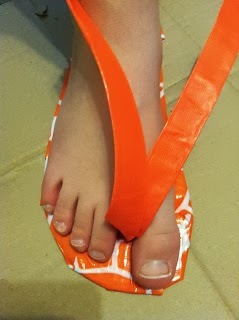 Fold the straps around and under to the bottom of the shoe and hold in place while your child slips it off. Turn it over and tape down the traps and cover any other parts where you can still see the cardboard. Ta dah! You have new flip flops!! 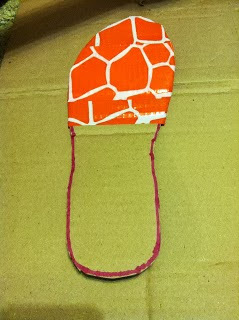 Frances also made a handbag to go with her new shoes. I didn't take detailed pictures, but the process is pretty simple. Lay out two pieces of duct tape (slightly longer than you want the width of the purse) sticky side up, right next to each other. Lay another piece sticky side down, on top of them, between the pieces, overlapping each half way. Continue placing one piece sticky side up and one piece sticky side down, until you have a long sheet of duct tape, taped to itself. Make it twice as long as you want the side of the bag to be. Fold this sheet in half and trim the edges of the duct tape. 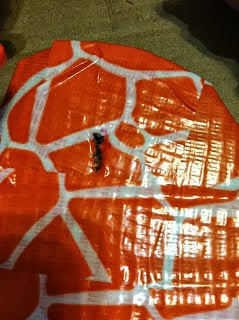 Using coordinating tape, tape down each open side to complete the bag. 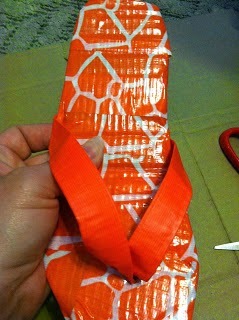 Take two pieces of coordinating duct tape and fold them in thirds like you did for the flip flop strap. 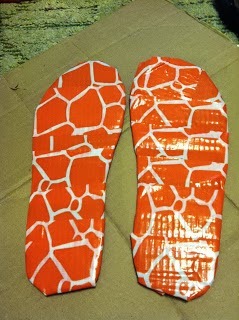 These will be the straps, so make them as long as you want, plus about five inches. Place them on the inside of the bag and tape them down good. Frances also added a "monogrammed" F to both sides of her bag. I suggested that she outline it with a marker, but apparently she did not like that suggestion! Now you can be a classy lady with shoes and a handbag to match!! OMGee! What a cute project. I love the way both the purse and flip flops turned out. 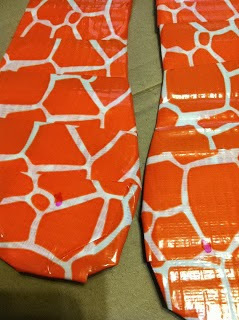 And the fancy duct tapes they make now certainly help make it fun and creative. This is so cute but I have to be honest. I would NEVER be able to pull it together as well as you guys did. I don't have a crafty bone in my body!